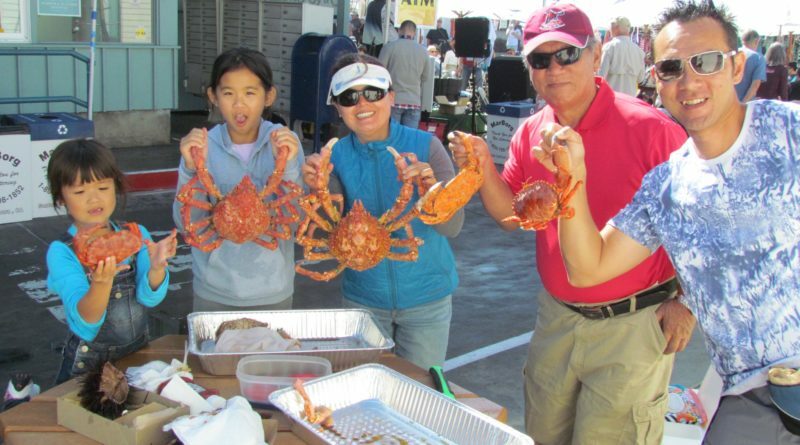 SANTA BARBARA — For the 17th year, Santa Barbara is presenting the annual Harbor and Seafood Festival on Oct. 13. As one of the premier waterfront venues in Southern California, this free event is a celebration of all things related to Santa Barbara’s seaside history and culture, including a “working harbor” for more than 100 fishermen who reel in $30 million in seafood each year. Activities will be provided for all ages and seafood lovers will enjoy the regional selection of treats. This festival, which also corresponds to the beginning of lobster season, will also offer educational opportunities, free boat rides aboard Double Dolphin and Azure Seas, vessel tours and children’s activities. Musicians Acoustic Blues, Spencer the Gardner and Fish and the Seaweeds will play live. A collection of unique gifts, artwork, clothing and other knick-knacks will be available to peruse. The festival runs from 10 a.m. to 5 p.m. Parking is free for up to 90 minutes. Paid parking is available nearby. City of Santa Barbara Waterfront Department, Commerical Fishermen of Santa Barbara Inc. and Santa Barbara Harbor Merchants’ Association are hosting this event with other community partners and volunteers. For more details about the event, visit the website at harborfestival.org or contact Dominique Samario at 805-897-1962 or by email at dsamario@SantaBarbaraCA.gov.